I got my four F.I. 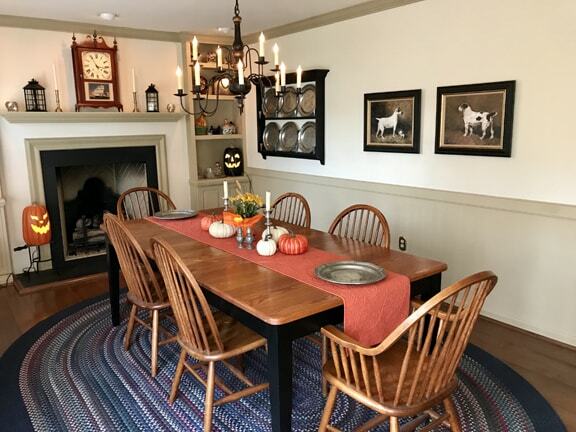 Coppedge canvas prints hung in just the right place before Thanksgiving. They are simply BEAUTIFUL. I got one of each season and one of my astute guests noticed that I had hung these impressive prints of spring, summer, autumn and winter and remarked about them. I LOVE looking at them in my home and know I’ll get many, many years of pleasure from them. I have one other hanging in my living room and three that I change out seasonally at my office. Thank you for your very fine service to me. I just may have to add to my collection in the future! It is wonderful to do business with you. Prints ordered: New Fallen Snow, Sunday Morning, View of Thompson Neely Mill and Along the Delaware at New Hope by PA Impressionist painter Fern Coppedge, all printed as .75" canvas gallery wraps. We received our two dog prints and we are absolutely thrilled with them! They are absolutely beautiful- the quality far surpasses what I was expecting. They are off at the framers now and we're anticipating getting them soon. We just love them! Prints ordered: A Day's Bag by John Emms and English Setter and Gordon Setter with Dead Game by William Woodhouse, both printed on fine art paper. We were thrilled to discover that E.E. had inventory of our favorite painter, John Emms, and that we had a choice of format (print, canvas, framed or not). Our order (two paintings hanging “pendant” to each other) involved a lot of customization. E.E. was able to guide us so that the paintings were in the correct scale, colors in harmony, even the placement of the image on the canvas from the original artwork. The results are exactly what we dreamed of; we were thrilled with the entire experience and with the finished products! Prints ordered: Zoe, a Fox Terrier, 1896 and A Wire-Haired Fox Terrier by John Emms, both printed on archival canvas. Got the prints yesterday. I'm quite literally stunned. The quality far exceeds my expectations which were a tad high considering my Canadian dollar outlay. My only regret is not ordering the Payne in a larger size now that I'm blown away your fine repro! Definitely with be contacting you again in the future. Print ordered: Village with a Church Spire in the Distance on fine art paper. Your service was fabulous and your product sensational. I am thrilled!!!! Just a note to tell you how impressed I am with my stretched canvas print orders I placed. The first one I ordered (Cunaeus' Scottish Deerhounds) arrived carefully packaged in perfect condition. The print itself was of the finest quality and the look with the added brush strokes enhanced it even more. And there's the frame.... of high quality, and I've received compliments on both the picture and the frame. Needless to say, when I order two more framed canvas prints, I was just as pleased. Friends have asked where I got these pictures, and I hope you hear from them. P.S. Two of the prints with the antique frames are hanging above 1800s French hunt furniture with carvings of dogs, and the prints fit right in! I was away for a couple of weeks and found them all on the back porch when I returned, everything was perfect no problems. Thanks very much, I'll be back and will send as many people as I cross paths with needing the quality services you guys provide. I'm hooked. Thanks again. I wanted to let you know that I received "Adobe House" last Thursday-- Because of my background in art reproduction (greeting cards, calendars, limited edition prints) and the challenges that can occur in getting colors just right, I was expecting to be a bit disappointed and even anticipated the possibility of sending the piece back. Your production team absolutely nailed it! I really appreciated your sending the original for color comparison--and color for color, they did an excellent job! Wow! Thanks for the great service, always-accommodating attitude and for executing a piece that I'll enjoy for a very long time! Thank you so much for your help with coordinating the delivery of the Burchfield print. It arrived right on time and was the hit of our Aunt's 94th birthday. It turned out beautifully and she absolutely loves it! I just wanted to take a minute and let you know how pleased I was with the prompt delivery of my order....I am also EXTREMELY happy with the quality of the poster I ordered. I will be ordering again from your company very soon. I will recommend your company to others as well. Just received the new print, and I'm really happy with the way it came out. Everything I was expecting. Thank you soooooo much. Received the poster, LOVED IT! Will be putting up on the wall this weekend. Thank you for your prompt attention. You are a pleasure to deal with! I ordered an Edward Hicks print from you a few weeks ago for my wife’s 50th birthday, who is the great great granddaughter of Edward Hicks. It arrived right on time and was beautiful. Great job. I received my replacement picture today and it was just what I wanted. Thank you for your excellent service and you getting it to me before my trip to Europe next week. I am happy and delighted with my painting and would not hesitate to recommend your company for quality and service. I just wanted to thank you for the wonderful prints that I have received from you recently. Everything from the quality of the paper to the color definition has been superb. Even the care in the packaging has been first class. The quality of your work is very much appreciated. Hello Encore Editions, I received my order yesterday. Very nice! The large frame on this one looks really good. Thanks again. We have several Encore Editions prints and think you do a fantastic job. It is a pleasure to view your website. We have no more space on the walls!! I placed an order with Sara on 08-30 expressing that I needed the photo by September 8th (it is a gift for my boss). I received the order today and it looks beautiful! Everyone in the office has been asking where I ordered it from. I just wanted to thank everyone at Encore Editions (Sara) for taking care of me so very well. We will definitely be using your company again. I found Encore Editions to be the perfect, affordable solution for a historic interior restoration. Two Giclee archival prints on canvas now hang in the Mezzanine Lounge at the magnificent Art Deco style Paramount Theatre in Oakland, Ca. (1931) The original artwork selected by the theatre's architect for the room had vanished in the late 1960's. Sara at Encore Editions helped me locate paintings for reproduction by the same artists, of the same subjects, as the lost original paintings. Our search was based on a 1934 inventory and historic photographs of the room. Now an important part of the original decoration has been restored as accurately as possible, and adds signifigantly to the overall authenticity of the restoration. We LOVE our new Chagall piece, and it is PERFECT in our new "Chagallery" guest suite! Everyone admired it at the Home Show! I received my order of two prints and wanted to convey how happy I am with their quality. I was expecting much less in terms of the quality of the paper. I am a fond devotee of any works by George Catlin, and his "Sioux War Council" print is stunning. I have it in a rather rough wood frame, and the colors with detail are magnificent! Thank you for offering such wonderful quality art prints at such great prices! I will be purchasing from you again! I wanted to drop a quick note and let you know that I really enjoyed doing business with your company!! The customer service that I received was wonderful- when I saw the advertisement for 20% off after I had made my purchase, your company quickly responded to my e-mail requesting that discount and immediately sent me a confirmation e-mail that the discount had been refunded to my card. My Giclee print made it to my home within a couple days of placing my order and I was very impressed with the quality of the image! I am currently having it framed locally as a gift and cannot wait to give it! I will definitely be purchasing another print for myself in the near future! Thanks again for great customer service! Hi Elizabeth and Sara: I just wanted to let you both know how much we love our new art! 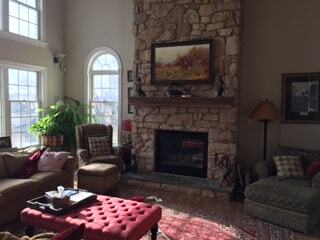 It was the final touches on an extensive and lengthy remodel. And really makes the room. Thanks again! Compared to others your site and staff were so fabulous!! The print arrived today and it looks great. We are very pleased with it, and thank you very much for accommodating us. The new website is so much more accessible now than it was in the past. It used to be that it was hard to find anything because of your massive inventory but now it's categorized in a more organized fashion. Besides the fact that all of you are so helpful. You make it a pleasurable experience to shop there. Thank you guys for all of your help on our last minute requests. Look forward to using you on our next project. Very many thanks for the downloads which are superb. I will certainly be back at a future date for other images. I ordered 2 Edgar Degas prints on stretched canvas just before Christmas. I received both which I adore and they made an excellent gift. It was a business transaction I'm very pleased with. The gift instantly says high class. I received my print today and it's beautiful. It's really soulful. Just to let you know that the prints arrived yesterday and very fine they are too! It was a pleasure doing business with you - always nice to know one is dealing with a small company who obviously care about what they are doing. I was apprehensive about ordering a canvas print art piece over the internet, that’s until I talked to Elizabeth. It was so great to not just talk to a real person, but such a knowledgeable sweet lady with a "can do" attitude. She helped me to order my first print and with much help a second and after that I felt so comfortable I just ordered four more, but it literally would not have happened without Elizabeth. I look forward to not only doing more business myself but recommending Encore Editions to my friends! Many thanks. I have received the two Russell prints. They are fantastic and just what I have wanted to find to finish decorating our home here in western Montana. Charlie Russell would be proud, inasmuch as Montana is where he settled. Thanks again and I'll recommend you highly. Encore has provided over 100 reproductions for our professional development, ArtWalk. From high quality paper prints to stretched canvases, every beautiful piece has impressed us and our customers and the service and the working with Encore's people is a pleasure as well. I just received my picture and wanted to let you know that I am very pleased with it. It is beautiful. The print arrived yesterday. I am very happy with it and as I am a member of the Working Clumber Spaniel Society here in the UK, I will pass on your web page to all the members because it is so hard to find prints of working clumbers. Once again thank you for the print. I want to tell you how delighted I was with both your products and your service. The postcards arrived in time and our printer did his piece within a few hours. The note cards are gorgeous. Thank you for your responsiveness to our needs. I hope we have the opportunity to use your services again. Just a quick note to thank you for the super fast delivery. The frame is better than expected!!! PERFECT!! I see that the print of NC Wyeth's "Indian Fishing" arrived yesterday while I was off...but I wanted to let you know that it is here and in great condition. Thank you so much for your great service! You'll be hearing from us again very soon I'm sure! I just wanted to comment on the changes to your website. 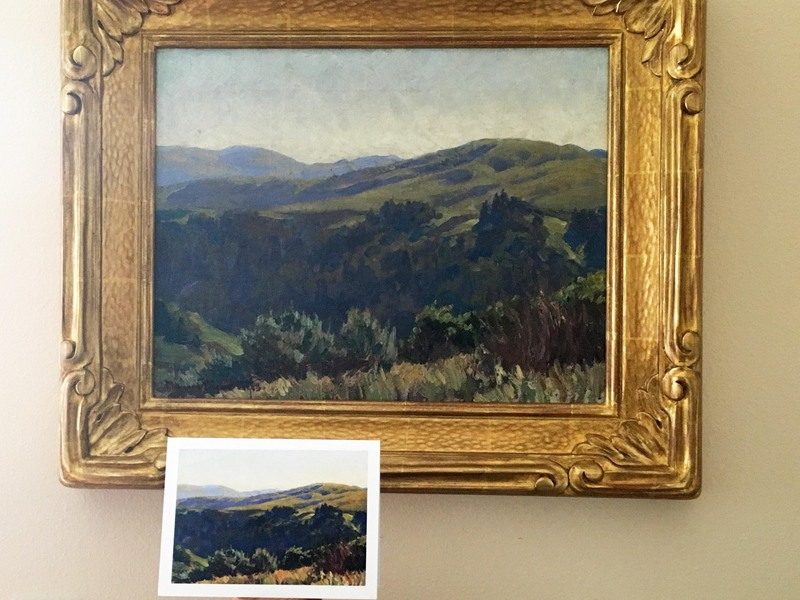 I ordered a box of note cards recently through an image that appeared in an e-mail from your website.Perhaps I would order more often when I’m given the opportunity to view some of the more striking paintings without having to look through all your offerings. I was also pleased with the new paper stock that the note cards are printed on. I think that the paper picks up the color better than the previous heavier paper. Also, the image is larger than the previous note cards. I feel like I’m getting more for my money. Thanks for the improvements to your products and your website. Well Ms. Elizabeth....THEY'RE HERE!! !.....and are they ever grand! You-All are the best!